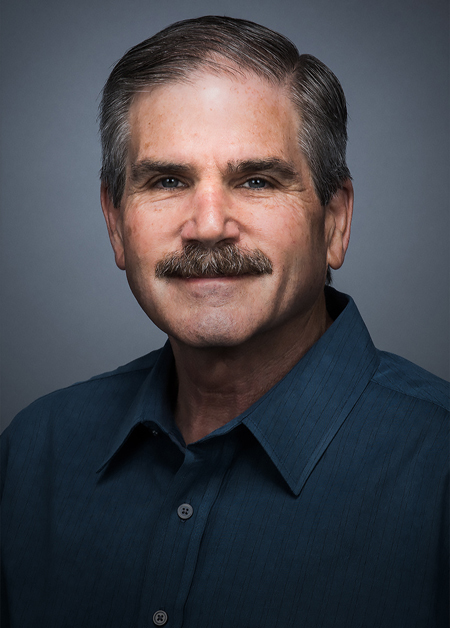 After receiving both undergraduate and graduate degrees in theatre design and technology from the University of California at Santa Barbara, Bill Groener spent the first 10 years of his 30-year career working in a variety of lighting design and production roles. These included a faculty position at Williams College and theme park design assignments for WED (now Walt Disney Imagineering). In 1984, Bill began a series of business development and management roles at major entertainment technology companies, serving as executive vice president/general manager of Strand Lighting, national sales and marketing manager at elliptipar, manager of Barbizon’s NY based System Sales Group, and manager of the systems installation group at Production Arts NY/NJ. During this time, he also established and managed his own manufacturer’s rep agency in New York. Following PRG’s acquisition of Production Arts in 1998, Bill managed PRG’s systems installation business. In 2001, he was named General Manager of PRG’s New Jersey office, and in 2002, was named Group Vice President of PRG’s Northeast Region. In 2003, he became VP/General Manager of PRG Integrated Solutions. In 2008, Bill joined forces with Tim Hunter and became President/COO of Tim Hunter Design, LLC an accomplished and award winning ‘experiential design’ firm based in NYC. Projects included 444 Madison Avenue, St Francis Xavier Church, media for JFK Terminal 8 and a national media campaign for Exxon Mobil. In 2011, Bill became Vice President for Business Development for A.C.T Lighting, Inc. based in the NY metropolitan area. His diverse skills and experience, his long tenure with ESTA/PLASA and his numerous industry relationships enabled him to focus his efforts on the specification market by introducing the broad portfolio of unique products distributed in North America by A.C.T Lighting, Inc. to theater consultants and architectural lighting designers and supporting their efforts to use them on projects. In 2013, Bill became General Manager for the Systems & Design Division of 4Wall Entertainment Lighting. He is responsible for the National Systems team overseeing design and installation projects at multiple, diverse locations. He is based at 4Wall New York, but travels frequently to 4Wall’s other locations – Las Vegas, Los Angeles, Nashville and Washington DC – as well as system installation clients and sites across the country. Working as a Systems Integrator, Bill has played prominent roles in several major installations, including the Morocco Pavilion in World Showcase at Epcot Center, the original City Walk installation at Universal Studios Florida, several studios in NBC’s NYC Broadcast Center (Rockefeller Center), several Cirque du Soleil production facilities, the CNN NYC Broadcast Center, ABC Times Square Studios, Fox Cities Performing Arts Center, Carnegie Hall (Zankel Hall), the renovation of Radio City Music Hall, the Wynn Hotel in Las Vegas, Bethel Woods Center for the Arts, Harrah’s Hotel and Casino in Atlantic City, NJ and the extensive renovation of St. Francis Xavier Church in NYC. His distinguished career spans over 35 years in our industry. During that time, he has been actively involved in the Illuminating Engineering Society of North America (IESNA), the United States Institute for Theatre Technology (USITT), Stagecraft Institute of Las Vegas (SILV), The ESTA Foundation and the Entertainment Services and Technology Association (formerly ESTA and now PLASA). He and his wife actively support the American Foundation for Suicide Prevention and numerous programs at St Jerome Church in Norwalk, CT.